SharePoint, OneDrive and OneDrive for Business – Confused? Following the article about OneDrive File on Demand in our Autumn/Fall newsletter, several people have asked us to explain the difference between OneDrive, OneDrive for Business, and SharePoint. OneDrive is a 5GB per user cloud file store that comes with your Microsoft Live account (this includes Xbox Live accounts and Outlook.com accounts). It also comes pre-installed on Windows 10; log into Windows 10 with your Microsoft Live Account and the two OneDrive accounts will be combined to avoid confusion. You can also install OneDrive on MacOS, iPhone, iPad, and Android phones and Tablets. Then you can synchronise your files with those devices. This works by synchronising the files stored in OneDrive on each device with the file store in the cloud. You can create or update a file and save it to OneDrive on your PC and it’ll be uploaded to the cloud, and then downloaded to each of your other devices. You treat the OneDrive folder as just another folder on your PC, and OneDrive takes care of synchronising changes with the cloud. You can even relocate your “Documents” “Pictures” and Desktop files to OneDrive – which will ensure you keep an online copy of your most important files and have access to all of them if you connect on any other PC. And of course you can buy more space if 5GB isn’t enough. OneDrive keeps previous versions of files, and copies of deleted files, for 30 days, so you can retrieve a deleted file or the previous version of a file you just over-wrote. You can also restore the previous versions of multiple files – particularly handy if you ever have the misfortune to have to recover from a ransomware encryption attack. OneDrive is personal to you, but you are able to share single files and folders with other people individually by sending them a link. On Windows you can share your local OneDrive folder, or a folder within it, across your local network in the same way you can with any other folder. On Windows 10, provided you’ve installed the Fall Creators Update that was released free-of-charge in October 2017 and the latest version of OneDrive, you can also use “File on Demand“. Right-click on the icon in the task bar, and click on the “Settings” tab. If you select “File on Demand” then in Explorer you will be able to see the names of all the files in the cloud, including those that aren’t being synced. New files that are created on another device appear, but as online-only files that take up no space on your device. Double-click on an online-only file and it’ll be downloaded and synced from that point onwards. This features is not available on MacOS – and we’ve seen nothing from Microsoft to suggest it’s in the works, or even possible, for Mac OS. OneDrive for Business comes with most Office 365 and Microsoft 365 subscriptions, and is similar to OneDrive except that it has an initial storage capacity of 1TB per user. You sign in with your Office 365 or Microsoft 365 account (which is usually different from your Microsoft Live account). It works exactly the same way as OneDrive, plus some additional features: for example you can set up a selective sync, so if you have a device with limited storage such as a phone you can select those files or folders you synchronise from the cloud. You can add OneDrive for Business to an existing OneDrive installation by simply adding another account. There is no separate OneDrive for Business app – just use the OneDrive app that comes with Windows 10 or that you’ve subsequently downloaded. On most devices you can do this multiple times if you have access to more than one OneDrive for Business account. On my laptop I currently have my personal OneDrive and then three further OneDrive for Business accounts connected simultaneously. Windows 10 – Right click on the OneDrive icon in the task bar, click on Settings, then select the Account tab and click “Add an account”. You can open multiple OneDrive for Business accounts. MacOS – Right click on the OneDrive icon in the menu bar, or the dock if it’s visible there, and click Preferences, select the Account tab and click “Add an account”. You can open multiple OneDrive for Business accounts. iOS (iPhone/iPad) – Launch the OneDrive app, click the “me” icon – the person-shape at the bottom right. Scroll down and click “sign out of this account”. Then sign in with your OneDrive for Business credentials – you’ll not only see the files from your OneDrive for Business, but by clicking the “me” icon you’ll be able to switch between accounts. You can add multiple OneDrive for Business accounts. Android – Launch the OneDrive app, click the menu, scroll down and click “Add OneDrive for Business”. As far as I can tell, you can’t open multiple OneDrive for Business accounts on Android, you have to log out of one to log in to another but you can have your personal OneDrive and one OneDrive for Business accessible at the same time. 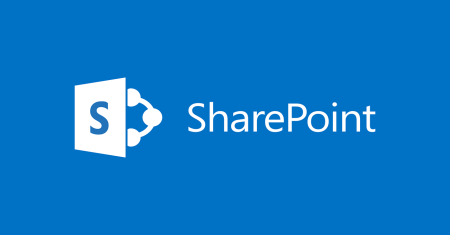 SharePoint is Microsoft’s cloud file storage system which, for an organisation, is accessible online to every user of Office 365 or Microsoft 365. It can contain multiple sites, and access can be restricted and even granted to external users. It has increasingly powerful functionality such as project management calendars and task management. However, for the purposes of this post, think of it as the underlying file storage system in the Microsoft cloud. SharePoint used to be (and in many companies still is) installed locally. Then it became accessible online through its own web interface, and more recently it’s been integrated into the Office 365 web interface with the intention that it eventually becomes a wholly cloud-based service. Microsoft apps such as Word and Excel (but annoyingly not Outlook) have been enhanced recently so you can open, save and synchronise files directly with online SharePoint libraries. This works on both Windows and MacOS provided you’re using Office 365 or Office 2016. It may be helpful to understand that your OneDrive for Business files are stored in a region of SharePoint that’s your private space. Knowing this makes it easier to understand some relatively recent features which Microsoft has introduced to make the functionality of SharePoint similar to that of other cloud storage services such as DropBox. Launch Office 365 on the web, click SharePoint and navigate to the site, library and folder you want to synchronise – and you’ll see a icon in the top page menu. Click this and the web site will launch OneDrive on your local machine. You can then choose where you want to store this folder on your PC, creating a local copy of those SharePoint files being synchronised with the versions in the cloud. Use it as a normal folder in your PC file system and the OneDrive app will take care of the syncing. It works on a Mac equally well. And your phone OneDrive app, if you’ve added your OneDrive for Business account, will also show you your SharePoint files. One thing to be aware of. Recent releases of Microsoft’s desktop apps have introduced an “autosave” function. This will be enabled ONLY if you’re saving or editing the file directly to the SharePoint file system online. Saving or sharing a file to a OneDrive folder or to the local SharePoint folder on your PC won’t enable the autosave capability. So beware – make sure you know where you’re saving that file!